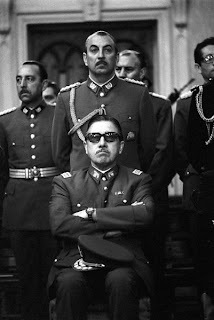 For some reason, I have always considered Augusto Pinochet to be a Dictator Lite. Perhaps it's the grandfatherly way he carried himself in the late 80s and 1990s. Maybe it's his Breton-Basque roots. Or it's his impeccably tailored and pressed civilian suits and military uniforms. He just did not look like a bad guy. On September 11, 1973, with the help of the CIA, Pinochet toppled the democratically elected Marxist government of Salvador Allende, extinguishing the left's greatest hope for a labor/peasant utopia in South America. 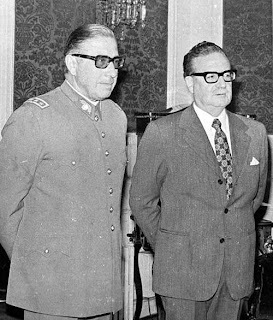 In the months and years before the coup, the CIA pumped millions of dollars to destabilize the Chilean economy and discredit the Allende government. It succeeded. 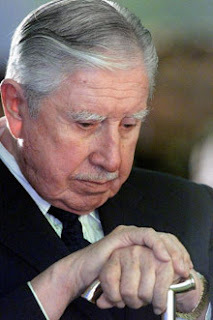 And with Pinochet, the CIA found a perfect helmsman to lead Chile in its fight against the Reds. Though Pinochet and the CIA shared common goals, Pinochet was no stooge. He led Chile his way. He was selfish, stern, and methodical. Thousands died and tens of thousands were tortured in his crusade to bring order and prosperity to his homeland. 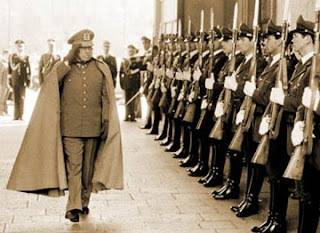 Because of his loyalty to the army and his outwardly frugal appearance, many of his supporters believed that Pinochet was disciplined and honest. Though he may have been disciplined, the recent Riggs Bank scandal revealed that Augusto accumulated and hid tens of millions of dollars in overseas accounts. Honest he was not. 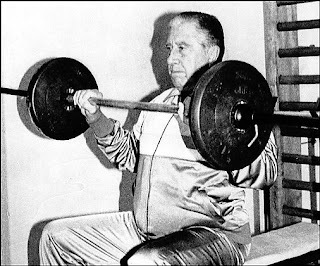 During his twilight years, Pinochet, inadvertently or purposefully, changed his persona from stern ruler to frail and jolly grandfather. He was often seen in England on holiday in expensive but casual suits and sports coats. For many non-Chileans who were not well-versed in Pinochet's past crimes, he seemed like a softy who couldn't even hurt a fly. But the law eventually caught up to Pinochet, kind of. 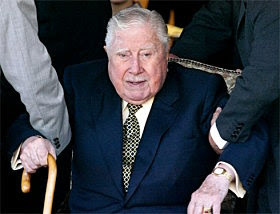 In the last years of his life, Pinochet was in legal limbo in England, Spain, and finally, in Chile. Supposed health conditions kept him from being tried. He died at a ripe old age of natural causes, with hundreds of charges but no convictions. Too bad. Today, Tamerlane got his first and last pedicure. It was a rather involved process. First, a questionnaire had to be filled out, asking questions such as how many hours a week I spend taking care of my nails (answer: 2 minutes), what length I like my nails (medium), and whether I have diabetes (no). Then, I pick a scent out of four bottles. That scent is mixed in a bath of warm water for my feet to soak in. After the soak, I am whisked to another room where real work is done. It involved rubbing, clipping, etching, sculpting, sanding, dips in parraffin wax, warm booty wraps, and more rubbing. All this in a temperature controlled, aroma controlled, audio controlled environment in a comfortable, reclining leather chair. I was engrossed in the whole pampering process and had a relaxing time. Then, midway through, I shook myself back into sanity and realized that the entire experience is a microcosm of all that is foul and morally bankrupt in modern American society. Elitism. The class divide and out-and-out snobbery is an integral part of the pedicurist-client relationship. 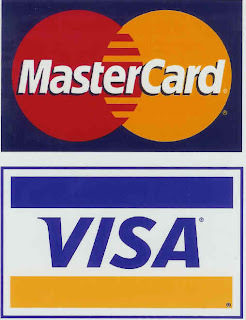 The client is usually of upper middle class or middle class extraction. The pedicurist is likely from a working class background with at most a year of community college education. The sickening interaction between the two was best exemplified by the conversation I overheard in the station next to me. Client: "I am the most vital employee at the second biggest software company in the world. I work so much, I have no time to shop for groceries or cook my meals. I go to Whole Foods everyday and buy its prepared meals (including the $12 salmon entree) because I am so important and wealthy. My brother went to law school in LA and lived in Brentwood. He married another lawyer and they live in a large, expensive house. I know LA really well. By the way, peon of a minority race who is scrubbing my disgusting feet, where are you from?" Pedicurist: "I am from LA. I lived off of Olympic. 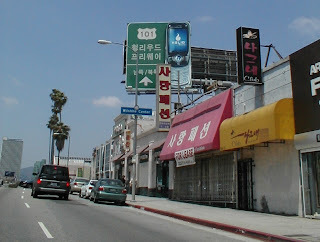 Near Koreatown. Do you know where that is?" Consumerism. This non-essential "luxury" service is exactly why this nation has lost its soul, is mired in credit card debt with an APR of 19.99%, and why Al Qaeda and angry Iranian clerics think we are the Great Satan. What is more sad is that many of the clients are not well-to-do housewives with $5,000 monthly allowances. Most are women holding administrative/ office jobs making no more than $35,000 per annum. In the spirit of: I work hard so I deserve to be pampered, they drive long-wheelbased versions of Chevy sport utes with DVD players in the backseats for their rotten ADHD impaired brats; carry overpriced Coach or Prada bags; and spend hundreds of dollars a month on facials, manicures, make-up, and other useless products that come in little bottles. It makes Tamerlane puke. Environmental Devastation. What was the environmental cost of Tamerlane's little mid-morning adventure today? All those towels that needed to be washed and dried use water and energy. 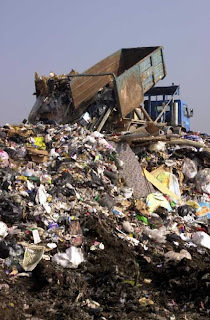 All the little petroleum based lotions and scrubs, packaged in plastic that will take another 500 years to disintegrate in our evergrowing landfills. The emery boards. The plastic booties. The wax. The energy used to heat the wax. All for what? So that my feet are a wee bit softer and my nails are cut in a way I am not used to? No thank you. The Crime of Excess. In a world where one billion people live on less than $1 US per day, Tamerlane spent $52 plus tax and tip on his FEET. That is an abomination and a true crime against humanity. Sure, getting your feet rubbed, eating seared foie gras, and driving an Aston Martin feel great, but only on an extremely superficial and selfish level. This discourse is by no means an attack on the hundreds of thousands of women (and men) in the salon industry. For those with limited skills and education who need flexibility in hours to take care of children or other dependents, working at a salon pays the bills. But the industry as a concept, and its me-first patrons, are a whole different story. Next time you need your feet pampered, go buy a big plastic bowl, a packet of CALGON, and soak those tired dogs at home. Woof! Disclaimer: Tamerlane does not support or oppose any external or internal independence/secessionist movement. This post is merely an "academic" exercise. Many moons ago, Bush 41 discussed the possible separation of Tibet, Xinjiang, and Inner Mongolia from the People's Republic of China. 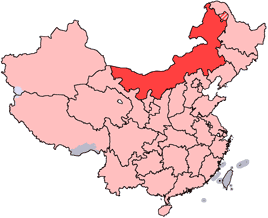 Together, the three "autonomous" regions make up more than 2/5 of the entire Chinese landmass. But with much of the land un-liveable and un-arable, why does China control it with such an iron grip? And besides the loss of land, what else would China lose if independence movements got their way? 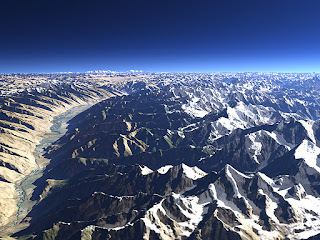 Mountainous and high-plateaued Tibet offers China a great natural barrier against India, with which it is still disputing some altitude sickness-inducing lands. The desolation of the region also makes it an ideal place to test nuclear weapons. But most importantly, China has plenty of face to lose if it lost Tibet. First, it would lose face to the outside world. With pressure, especially from the West, to grant Tibet independence, China is not willing to have Europeans and Americans, who repeatedly humiliated it and its people during the 19th and early 20th centuries, influence or dictate its internal affairs and policies. In addition, China cannot lose face to the dozens of ethnic minorities that live inside China. Capitulating to the Tibetans in such a dramatic fashion would be a sign of weakness for the Han-dominated government and Communist Party. Tibet will always be under Chinese control. 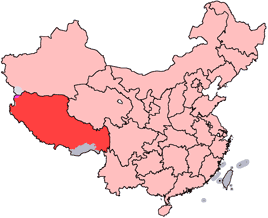 With ethnic Han Chinese as the overwhelming super majority in this region, independence here is even more unlikely than in Tibet. 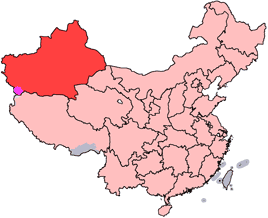 But it's not just land for Han settlement that makes Inner Mongolia so important. With an insatiable hunger for cheap energy, much of China's coal is derived from Inner Mongolia. And with Beijing just a short car ride to the border of Inner Mongolia, China does not want foreign, possibly unfriendly, troops stationed so near the power center. 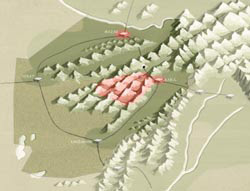 With Xinjiang, it is all about location, location, location. It borders eight countries, including Russia and four -stans. Moreover, Xinjiang is the answer to China's energy needs. 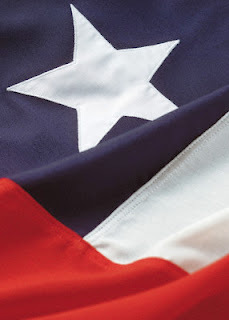 It has much of the country's proven oil and natual gas reserves. Moreover, it is the logical entry and transit point for pipelines from Kazakhstan and the rest of Central Asia. 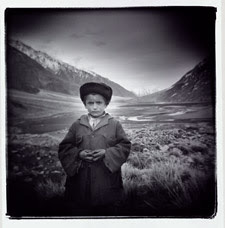 Finally, like Tibet, it has vast tracts of inhospitable land, which is perfect for nuclear testing. 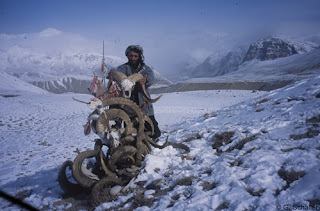 The Wakhan Corridor is that long, curious sliver of land on the northeast corner of Afghanistan. Its borders were set in 1895 as a buffer between the British and Russian Empires. This 200 mile by 10 mile strand separated Tajikistan (then a part of Russia) from Pakistan (then a part of Britain). 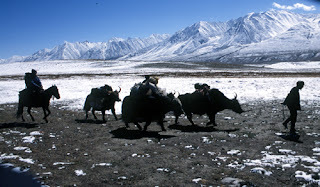 The Wakhan is a sparsely populated and remote region. 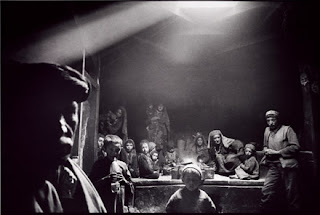 7000 people of Wakhi and Kyrghyz extraction live in some 40 villages, some of which consist of just one or two huts. The valley is shaped by the Wakhan and Panj rivers. The Pamirs dominate the north. The Hindu Kush looms in the south. Most of the Corridor is 10,000 feet plus in elevation. 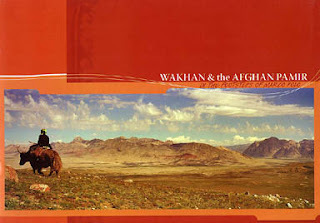 The Wakhi speak a Persian dialect and are of the Ismaeli sect of Islam. They grow potatoes, wheat, barley, and lentils. Their Kyrghyz neighbors in turn raise yak, sheep, and goat. A symbiotic relationship exists between the two peoples. It is a poor and forgotten place. 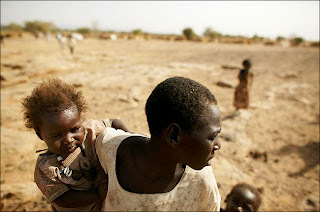 One in three infants die before he or she reaches 365 days of age. The Corridor constituted a treacherous section of the famed Silk Road. If you believe Marco Polo's tale, then you have to believe that he walked this stretch 1200 years ago. Because it is bordered by Tajikistan, China, Kashmir, and Pakistan, it is not exactly the most commerce- or tourist-friendly place on earth. Only a handful of outsiders reach this place every year. Sounds like a great place to hide, doesn't it? Exquisite B&W photos courtesy Teru Kuwayama. Even to the vast majority of CNN news junkies, the word "Hazara" is new. But we've all seen them in stock footages of Afghan marketplaces, villages, and refugee camps. They are the Mongolian/Chinese-looking Afghans in the crowd. 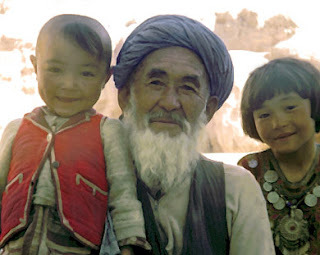 The Hazaras' origin in this Central Asian nation is controversial and unsettled. 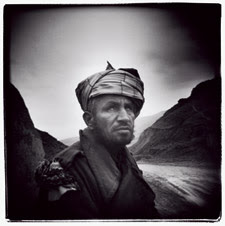 The most popular explanation is that they are descendants of Genghis Khan's 12th century army. Hazara means "thousand" in Persian, perhaps a reference to an army unit. 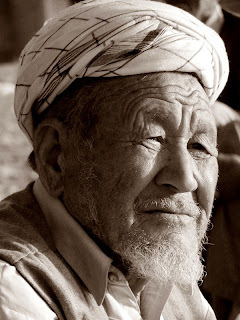 In fact, the Hazaras speak a dialect of Farsi and practice the Shiite version of Islam. 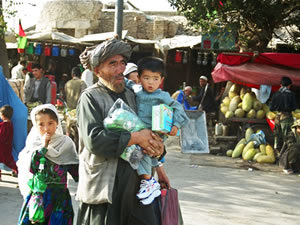 In this nation of the poor and dysfunctional, the Hazaras occupy the bottom-most rung of the Afghan socioeconomic ladder. Their language, religion, and facial features make them automatic outcasts. 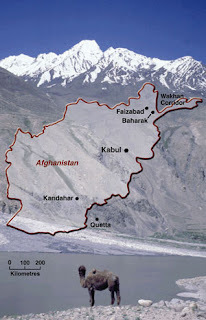 Concentrated in the central Afghan mountainous region, the Hazaras have been persecuted for centuries. The Sunni Taliban massacred thousands of them. Life for the typical Hazara is slightly better today. 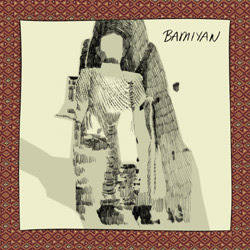 Many still live in the caves that dot the Bamiyan valley. No paved roads have yet reached any part of Bamiyan province. 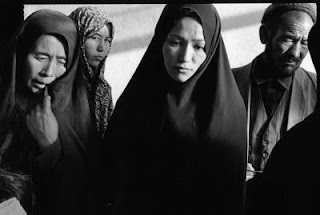 For the approximately 2.8 million Hazaras in Afghanistan, their only ally is their Iranian neighbor. So far, the attention attracted by the two now-defunct Buddhas has done nothing to raise international awareness of the Hazaras' plight. Major Hazara concentrations are in red/pink. Sarkozy's win was not shocking. He has been the front runner since the Hungarian Revolution. What was shocking is his ride. As I woke up to watch the BBC World News on the morning after the election, a French motorcade was shown. And what did I see Sarkozy riding in? 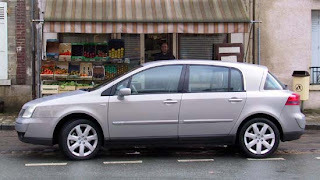 A Renault Vel Satis! 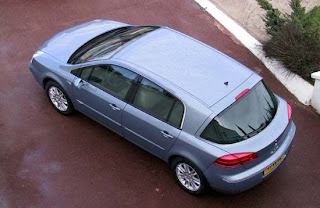 This bulbous, fugly, roomy hatchback is France's answer to Teutonic executive cruisers like the BMW 5 series, the Audi A6, and the Benz E-class. Oooo-kay. One thing is clear-- the French are independent thinkers and will not conform to internationally accepted norms in design, taste, or common sense. I assume that the Renault has the same 3.5 liter that propels the Infiniti G35. 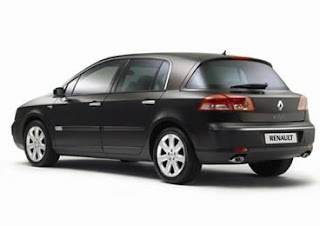 Nevertheless, the Vel Satis is so bad, I even miss Chirac's Safrane. I've always wanted to contribute to The Onion's "What Do You Think?". Seeing as I have zero chance of doing that, please indulge my feeble attempt at humor. For the topic, I have chosen whatever the top local story is on sfgate.com. The head of Caltrans annouced that it will take two months to reopen the connector that was melted down by the burning fuel truck. What do you think? "I hope the used car lot from which I just bought the General Lee has a return policy. I had planned on beating the traffic by jumping the collapsed span a la 'dem Duke Boys.'" "Damn. I was counting on using the "Stuck in the Maze" excuse on my parole officer for the next six months while I moonlighted at my friend's garage-based meth lab." "I just hope our state legislators will hold hearings to find out why our freeways are made out of industrial grade Cadbury chocolate. It has a low melting point, people!" "It's wonderful that we will return to trouble free Bay Area commutes in just two months." "I heard that to chip in, Governor Schwarzenegger will prop up the fallen connector with unsold VHS copies of Red Heat and Jingle All the Way." "Does this mean they are going to bring back Sanjaya?"